Bangs and bobs make a perfect combination together particularly longer bangs such as side swept fringes. This is really a perfect cut for women with medium hair. It is a classic and elegant style that is great for any occasion. Apart from the gorgeous cut the hair also has a cute ombre design. Hence the natural-looking appearance has been perfectly maintained. 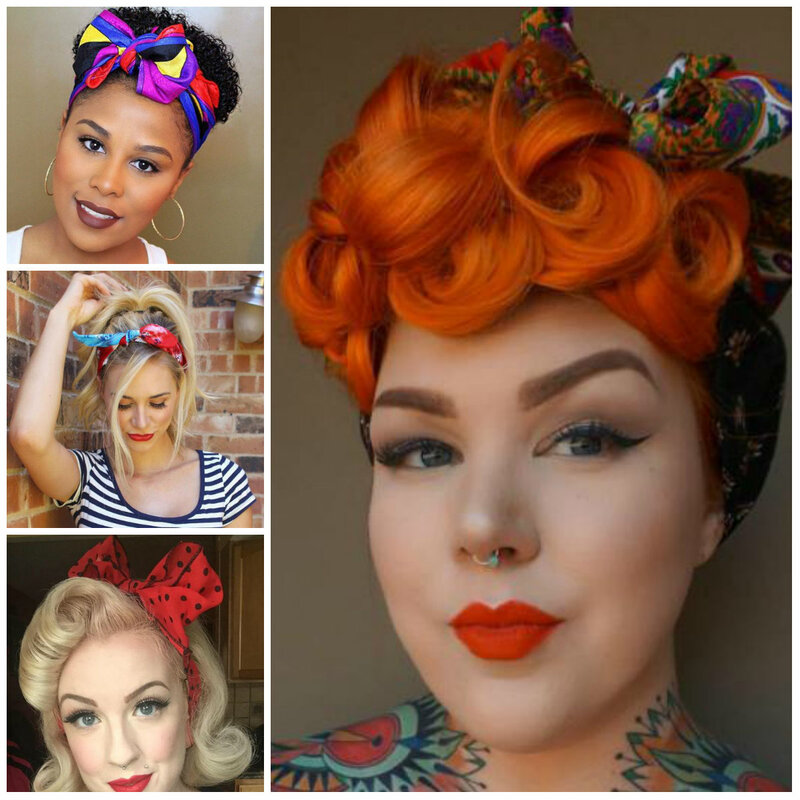 Curls make gorgeous hairdos with bandanas. They look playful and pretty regardless of the style. To update your curls you can choose a colorful bandana that will grab much attention and keep your voluminous mane in style. In this case you don’t even need to think about your hair length. However apart from stylish headdress, you will have a chance to keep yours strands out of your face. 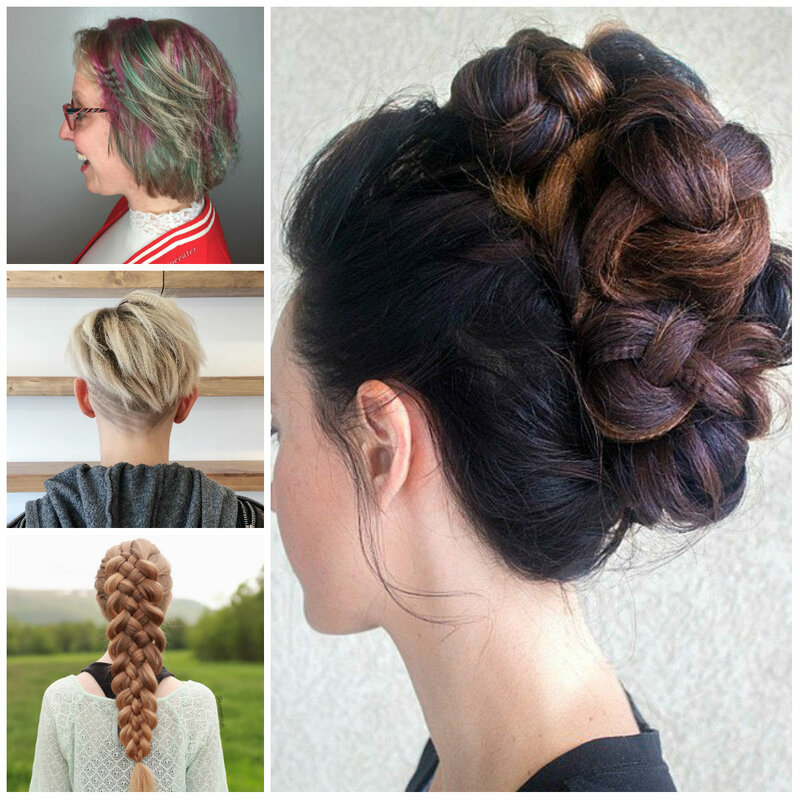 Updos are always lovely but sometimes you really need something more relaxed and casual. However fishtail provides a look that can be worn everywhere and this picture is the best example. 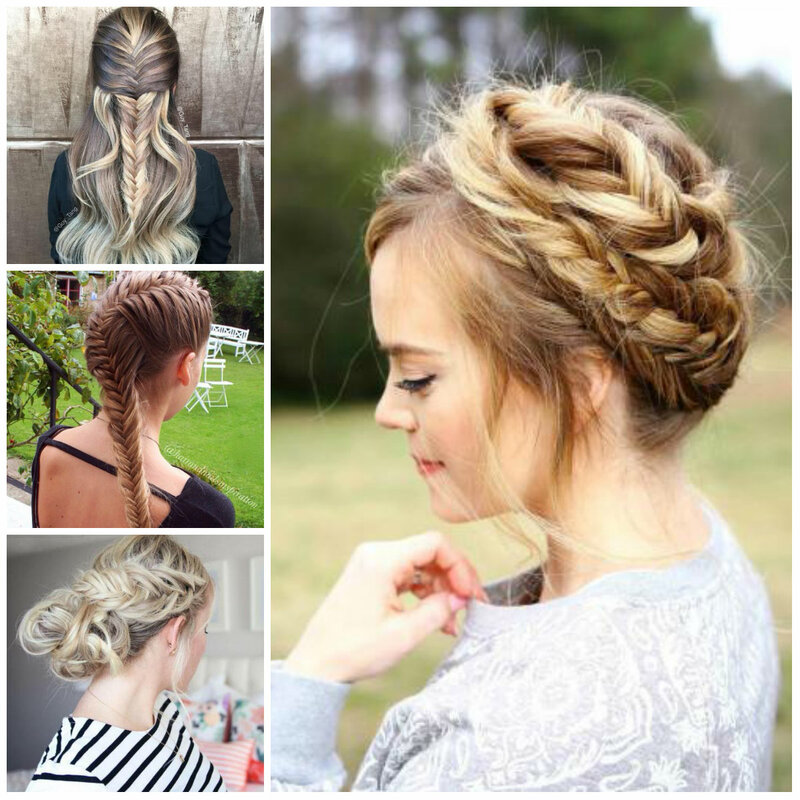 Apart from a gorgeous braid, the locks also have some eye-catching highlights. In case if you want to re-create these colors, show this picture to your colorist and he/she will understand what is suitable for you. 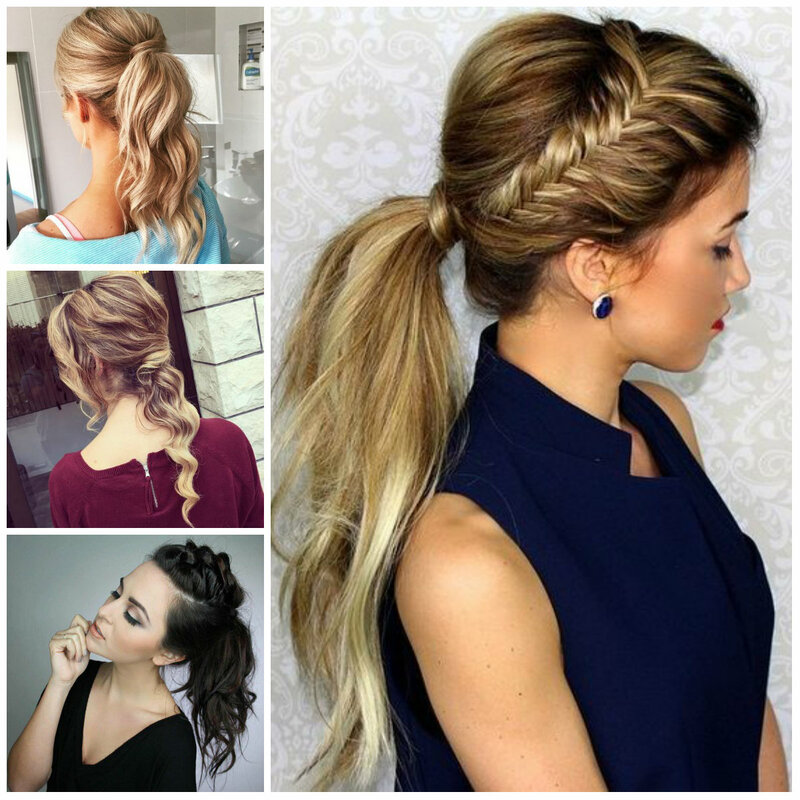 A curly pony provides with a classic style that should be adopted by every girl. All you need to do is to curl the tips of your long hair and gently backcomb the crown section for a bouffant effect. Note: Don’t try to overdo it otherwise the result will not be the same. Gather the strands into a pony just under the crown of your head. Tease the tail of the pony and spritz with hairspray to keep it in the place. This design is great when you don’t have much time for styling but you want something quick yet chic. 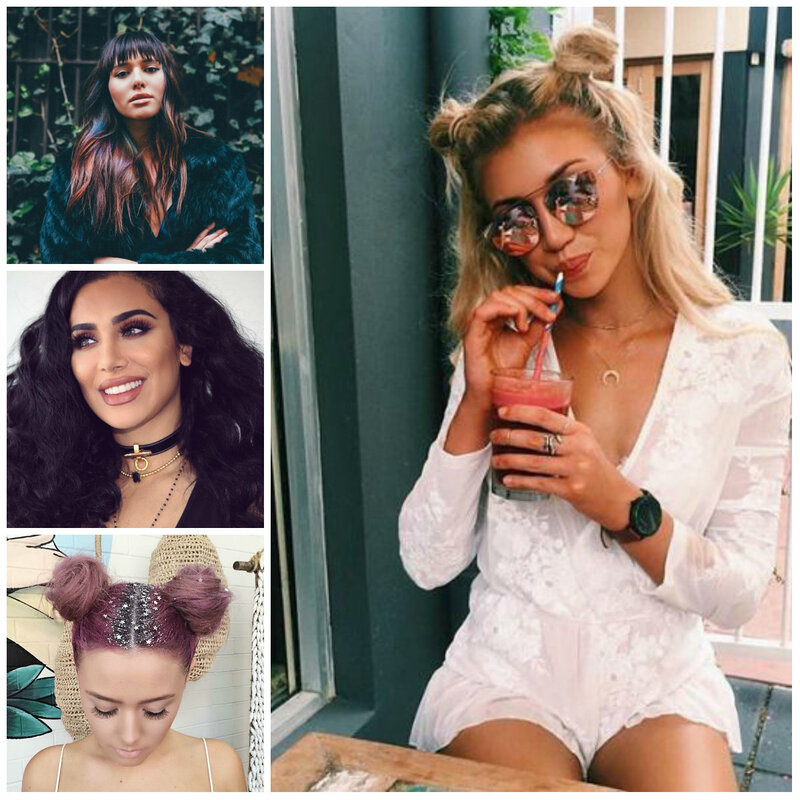 It is a stylish prom hairstyle and requires making your strands shaggy and then leave them to flow freely to the sides and back. 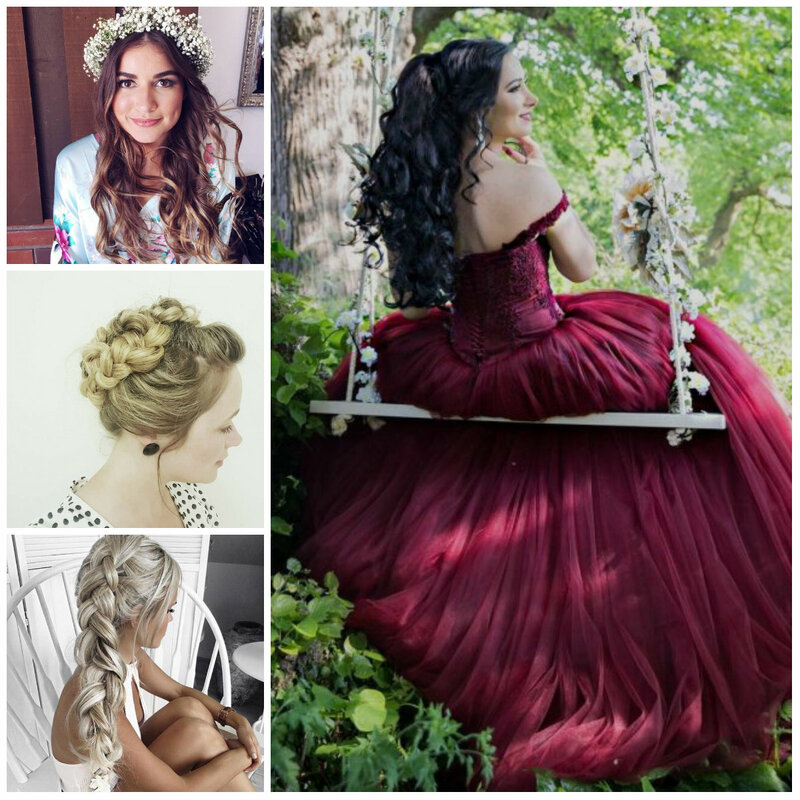 To finish the style, get a gorgeous flower crown as it will definitely help you to brighten your look. It is so easy, isn’t it? 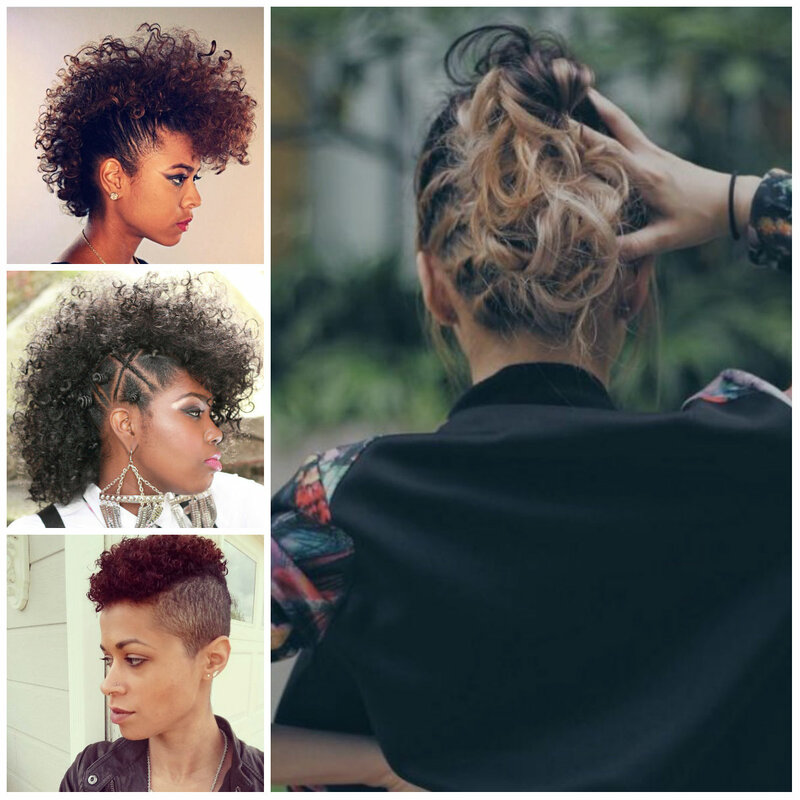 A Mohawk is one of the fanciest hairstyles that are widely spread. 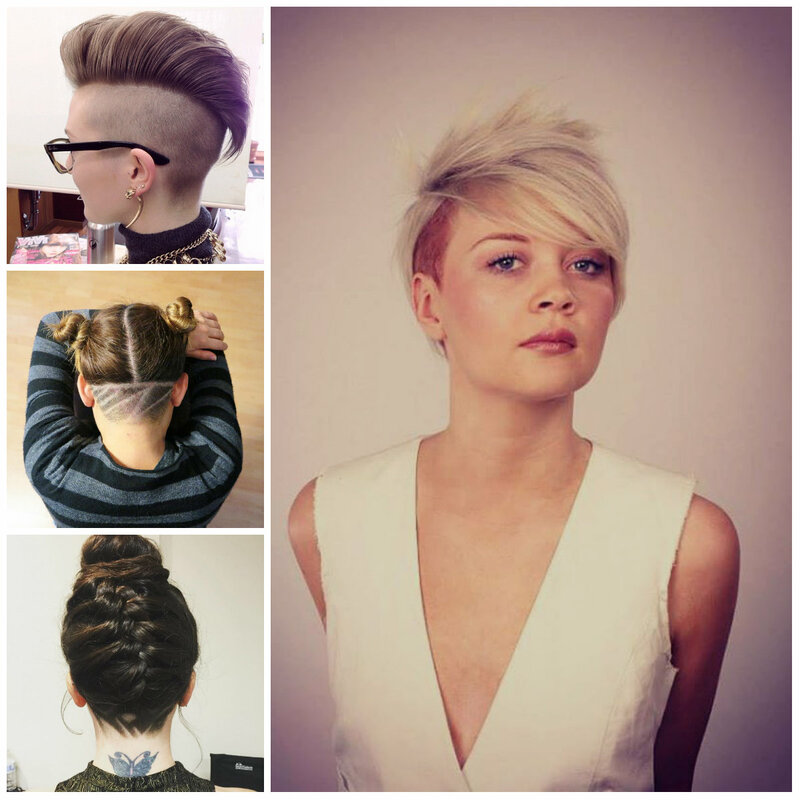 The original version of the Mohawk requires shaving the sides but most of girls prefer to mimic shaved sides with various braided styles. This particular Mohawk also has a fancy look that comes from shaving the sides. The rest of hair is styled with a brushed back to showcase the texture of the strands. 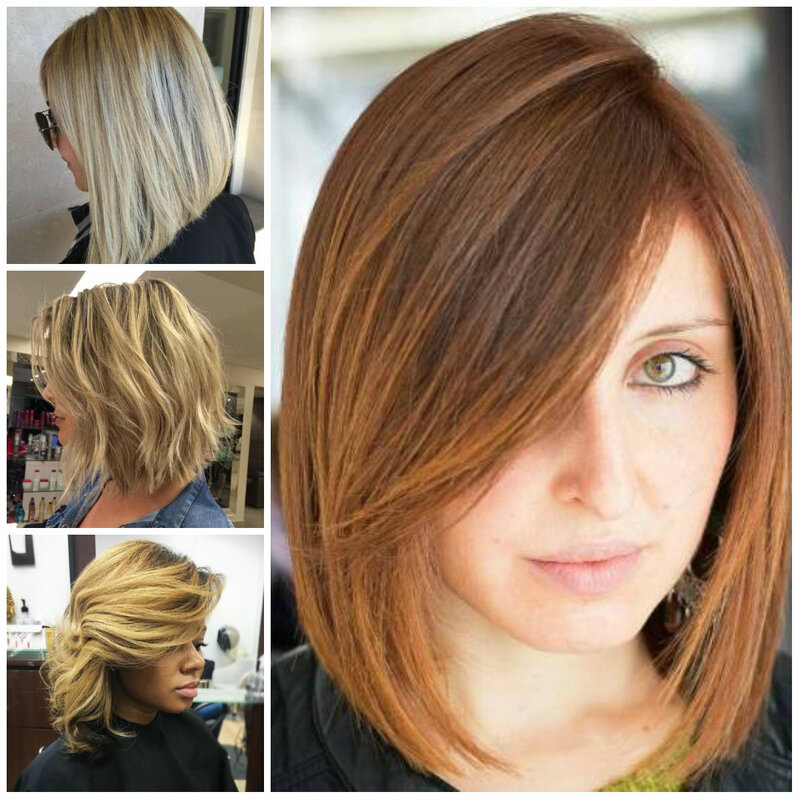 Isn’t it time to transform your gorgeous brunette strands into something more vibrant and eye-catching? One of the most popular bloggers made her decision to do exactly like that and she has definitely got our attention. Rainbow strobing dye job provided her with a head-turning do that has lots of dimensions and depth. 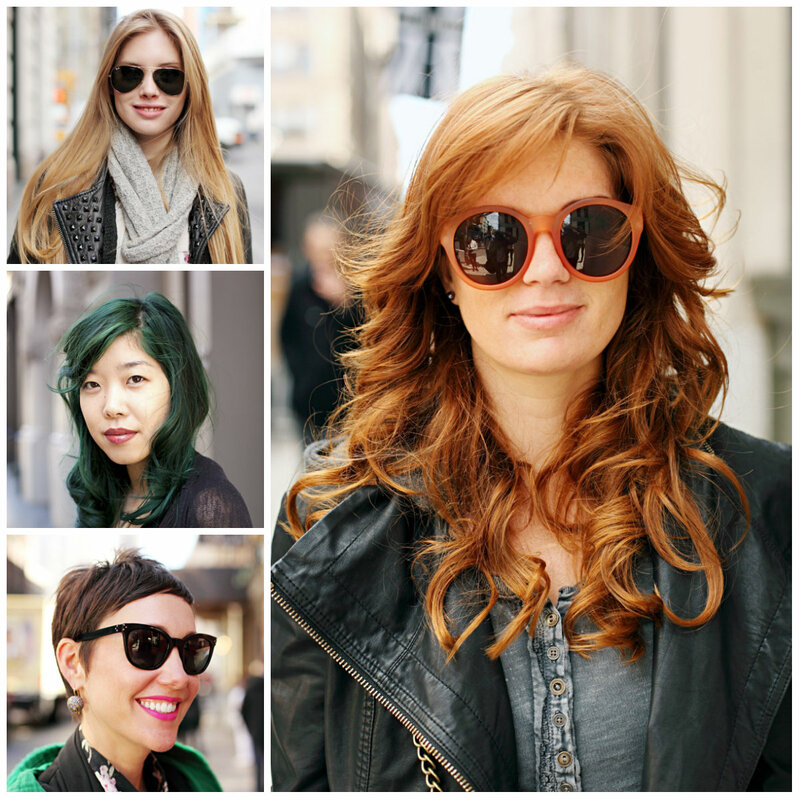 You can also achieve this style with the help of hair chalks.